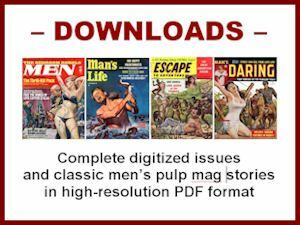 Since I started this blog last year, I’ve had the pleasure of interviewing three notable authors who once wrote stories for men’s adventure magazines: Harlan Ellison, Walter Kaylin and Robert F. Dorr. 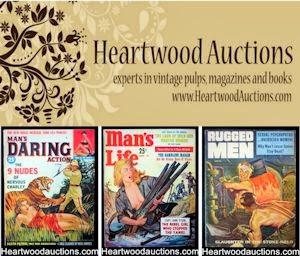 Walter Kaylin and Robert F. Dorr each wrote hundreds of stories for men’s adventure magazines, primarily for the classic periodicals published by Martin Goodman’s Magazine Management company, such as Male, Man’s Magazine, Men, Stag and For Men Only. Bob Dorr, who became a top military historian after the demise of the men’s adventure genre in the 1970s, recently emailed me an update about his latest history book, Hell Hawks! Hell Hawks! documents the bravery and sacrifices of American P-47 Thunderbolt fighter pilots and crews during World War II. I first mentioned this book in a post I did about Bob last December, when I reprinted his great Korean War story “Charge of the Mad Machine Gunner,” from the January 1967 issue of Man’s Magazine. In the months since then, Hell Hawks! has become something of a phenomenon. More than 24,000 copies have been sold and it’s in its ninth print run. A Hell Hawks! website has been set up at www.HellHawks.org. The Hell Hawks Facebook Group, maintained by Bob and his co-author, former U.S. astronaut Thomas D. Jones, now has over 500 members. And, Hell Hawks! was recently featured on the prestigious Year in Defense website. 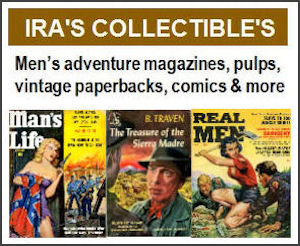 When I got Bob’s recent email, I was in the middle of writing my first post about the “evil Cuban Commie” subgenre of covers and stories in men’s adventure magazines. It was published in the April 1970 issue of For Men Only and it’s an excellent example of the creativity that went into giving “true” stories in men’s adventure magazines a semblance of reality. Take a look at the upper left corner of the wonderfully pulpy two-page illustration created for the story by artist Earl Norem, which depicts the supposed author fighting with a Castro clone, while a well-endowed, well-armed babe in a brassiere mows down some other Commies in the background. Above the photo, the words “True Adventure” are printed. Of course, Jack Griffin didn’t exist. The photo is probably some friend of the editor or a stock photo. And, the adventure yarn the story relates about “A Yank Troubleshooter’s Savage Ordeal” is a product of Robert F. Dorr’s imagination. Although Bob Dorr made up the story, he adds to the “true” story illusion by including some real historical facts. The killings of the two Americans in January 1968 and the subsequent assassination of U.S. Ambassador Mein did, in fact, occur. And, Fidel Castro and Che Guevara were indeed encouraging revolution and training rebels in Guatemala and other Latin American countries. Bob Dorr knew more about such things than the typical men’s adventure magazine writer. He served as a U.S. Foreign Service officer in various countries for nearly 25 years, from 1964 to 1989. I’m a big fan of Bob’s old men’s adventure stories and his history books. I especially enjoyed Hell Hawks! and encourage you to get a copy. In the meantime, you can read his ripping Cold War action yarn “I FOUGHT CASTRO’S CUTTHROAT GUERRILLA SQUAD” by clicking on this link to download it in high resolution PDF format, complete with the original artwork by Earl Norem and vintage ads. Comments? Questions? Corrections? 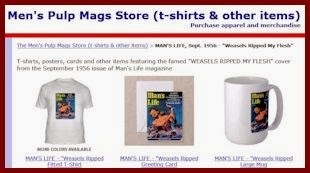 Want to see more men’s pulp mag cover art? 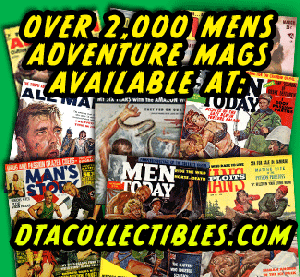 Visit the Men’s Adventure Magazines Facebook Group.